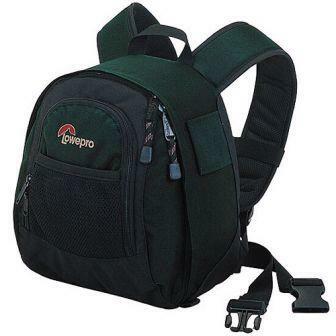 The Lowepro Micro Trekker 100 Backpack is our most compact Lowepro camera bag. It can fit 1 DSLR with a short-to-medium length zoom lens plus a couple of primes (it can fit even more if you're working with a smaller mirrorless system). 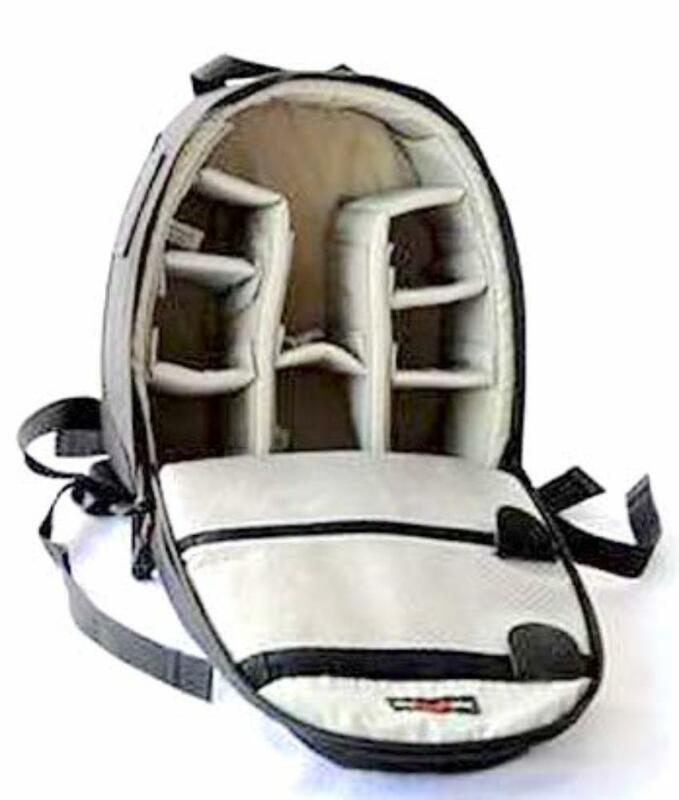 It has a front easy-access pocket, 2 accessory pockets on the inside, reconfigurable pads, and a support waist belt. It is ideal for quick trips and day shoots. • Interior Dimensions: 8.5 x 4.5 x 10.5"
• Exterior Dimensions: 10.5 x 8.0 x 11.5"